Regardless of whether you’re planning a lunch or dinner at work or home, few meals are as tasty, convenient and filling as a carefully crafted sandwich. Subs, especially when they’re made to order, appeal to nearly everyone’s taste buds and are the perfect way to cure a rumbling stomach. 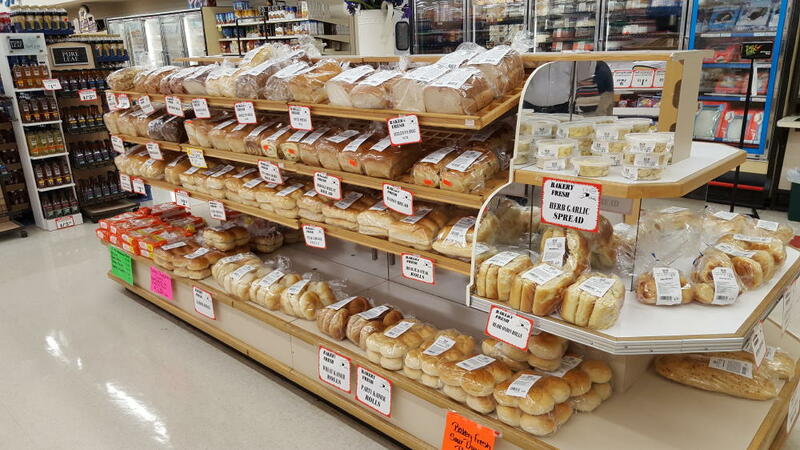 Saylor’s Market is renowned for being the go-to sandwich shop and market in Newville, PA for people who yearn for the freshest, highest quality food at great prices. That includes our fresh-made subs and sandwiches made fresh in our sandwich shop, customized however you like. Whether you like all the fixings, such as lettuce, tomatoes, onions, peppers and mayonnaise, or you simply prefer your choice of meat, cheese and bread, we will make a sandwich that’s sure to please your palate. Our bakery makes fresh bread each and every day and we only use the freshest meats and produce, so when you order from our sub shop, you’ll be enjoying sandwiches at their best. We have 15 options available so you can trust that we’ve got a sub or sandwich to match your mood. Whether you’re a vegetarian looking for a filling meal or you can’t imagine a sandwich without some sort of tasty meat serving as the headline, we have a full range of menu choices for you. Thanks to our variety of options, we are confident you won’t get bored trying different sandwiches from our made-to-order sandwich shop! Take a look at our full sandwich menu online now and stop in today to try one of our great sandwiches. In a rush? Call ahead at 717-776-7551 to place your order for pickup. Have a newborn? Register for our Birthday Cake Club! It's free to join. 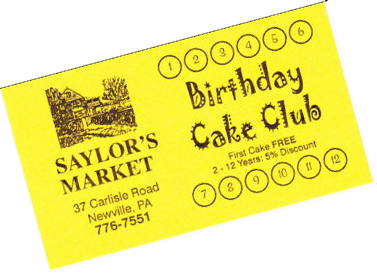 When your child celebrates their 1st birthday, stop in at Saylor's Market and get a First Birthday Cake FREE! Then in each year after that, get 5% off the price of their birthday cake. See store for details.